After many years of working as a Health Visitor in and around Bishopston in Bristol, Lesley Pritchard has decided to embark on a new venture in opening Moon River Nursery. After speaking to many families in the area over the years, it seemed there was a gap in the market for nurseries that provide an outstanding homely and enabling environment for children to learn and be cared for. This sparked a four-year long journey to bring about Moon River Nursery. The building has been completely redesigned from its previous life as a GP’s surgery for use as a nursery and a lot of care has been taken in the details of the building, furniture, security and resources for the children and their families. Please see the photos showing you the progress in redeveloping Logan Road . We will pride ourselves in developing strong partnerships with our parents and offer a safe, stimulating and enjoyable environment that provides plentiful opportunities and challenges for every child, encouraging them to play, learn and develop. We are delighted to be opening in the Spring once we have our Ofsted registration and cannot wait to meet all the new children and families that will be becoming part of the Moon River Family. At Moon River, we follow the The Early Years Foundation Stage (EYFS). This framework is specifically designed for children from 0 – 5 years old, and is centred on learning through play, nurturing your child’s abilities and talents as they develop. We focus our activities to develop the prime areas of learning – Physical Development, Communication and Language and Personal, Social and Emotional Development which form the basis of child development and learning. We do this through a range of tailored activities based on each child’s interests and learning needs that are exciting, fun and spark their curiosity. Numeracy and literacy skills are encouraged through stories, games, music and play. We provide lots of opportunities for the children to learn about the world around them and boost their imaginative and creative skills through a variety of projects and activities and outdoor learning experiences. Each child will have their own key person, who is a qualified member of staff as soon as they start at Moon River. They will work closely with you and your child to form a strong relationship and because of this will be able to provide the best care, attention and education. They will be responsible for observing your child’s learning and planning for their individual interests to help them achieve their full potential. 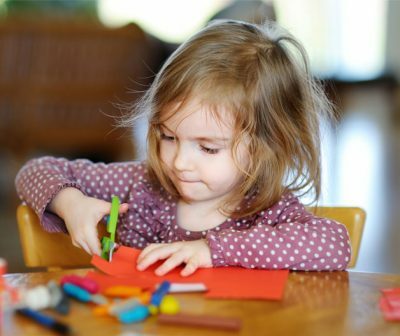 At Moon River Nursery, we will strive to achieve the highest standards in early years education. We believe that every child is an individual and learns best in their own, unique way. We will be taking inspiration from the Reggio Emilia ethos of learning and value the child’s voice and thinking in everything we do. We will follow the children’s interests through activities and projects that explore their questions and thinking about the world. Our rooms are calm, homely and inviting and are tailored to the needs of babies, toddlers and pre-school children. We think that strong language skills in children are vitally important and so we will be using The Babbling Babies, Toddler Talk and Letters and Sounds programmes to boost their communication and language skills. We believe that strong partnerships with parents and the community are important. We are going to be building links with local schools and nurseries and are working closely with health professionals and educational specialists. Parents will be involved in the nursery as much as possible via parents’ evenings, stay and play sessions and special events throughout the year. We will strive to keep up to date with best practice in the early years sector and are involved in the Bristol Standard Quality Improvement Scheme as well as an Early Years Research Group from Oxford Brookes University.